In case you have been out of the loop for the past few years, Google released the Chromebook – essentially an ultrabook with the Chrome OS in mid-2011. The Chromebook at that time offered the look and feel of a laptop with the Google Chrome web browser and its myriad array of extensions. Anything you could do in Chrome, you could do in a Chromebook. While Chromebooks are designed to work with an internet connection, the Chrome OS includes some offline applications such as media players and picture viewers. At first, people didn’t really know what to do with Chromebooks. It seemed the best it could do was act as a dedicated browsing machine. However, Google recognized the need for a simple, easy to use and maintain a computer. Who could benefit from this ease of use? Schools of course. According to Futuresource Consulting, as of late 2015, Google’s Chrome OS had about 51 percent of the market share in education for the US versus Microsoft’s 24 percent. The one stumbling block for Chromebooks holding it back from mainstream appeal was the limited number of applications that could be used. This all changed at the recent Google I/O conference. 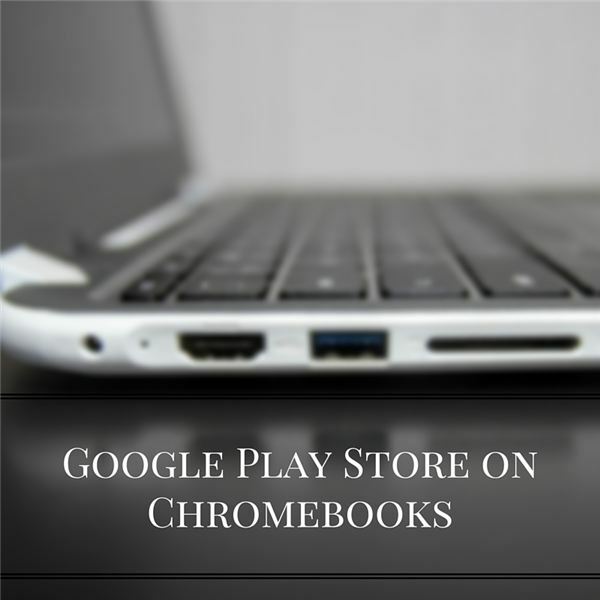 In order to reach a larger mainstream audience, Google knew it needed to support more applications on the Chromebook. Instead of continuing to focus on web based apps (or extensions), Google has been working on improving Chrome OS to allow for the use of Android Apps. As announced in the I/O conference, later this year, Chrome OS will allow users to install and use the Android based Google Play Store. Applications that you know and love from Android phones and tablets will work seamlessly on the Chromebook. In other words, that simple web browsing machine just gained the ability to run 2 million new apps. That’s huge. Especially for the average consumer and for businesses. This move will certainly increase the visibility and usefulness of the Chromebook. By allowing users to use the same apps they use on mobile devices, end users will be more willing to buy into the Google ecosystem. Apple doesn’t currently have any cross-compatibility with apps in the Mac and IOS stores. Microsoft is working on such a system to unify Windows apps, but they are a bit late to the party. As a potential sign of things to come… According to The Verge, Chromebooks outsold the Apple Mac for the first time in the first quarter of 2016. While overall shipments of Chromebooks pale in comparison to Windows based PCs, the Chromebook is slowly taking away market share from Microsoft. Microsoft is in a tough spot. Today, there is no single defining feature of a Windows PC. You have a multitude of hardware options and software options can come from a number of sources including physical media, digital stores like Amazon and Steam and even the Microsoft Windows Store. Although Microsoft is working on their Universal Windows Platform and it sounds like a great idea, think about what Microsoft is trying to do. Microsoft is allowing developers to build apps once and deploy them via the Windows Store to a variety of devices. However, what devices are we talking about? Microsoft’s phone division is (nearly) dead. The Xbox One is focused on gaming – I cannot see myself writing an essay in Word on my Xbox and mobile devices like the Surface all run Windows already. Microsoft claims the Surface Hub and HoloLens will also support these apps, but these devices are all aimed a specific industries or businesses. Microsoft is in a tough spot. It will be interesting to see what impact Google including the Play Store will have on the sales of PCs over the next few years.